The Les Gibson model is truly a classic. I think the Les Paul and Fender’s stratocaster are likely the most easily recognizable guitars, just by going off of looks. 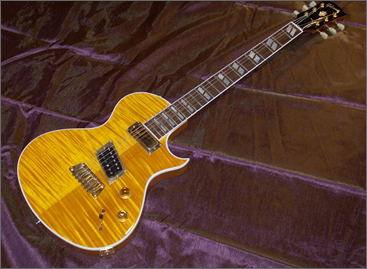 I was not aware of Gibson’s Hawk Series though…very interesting post. I picked up a Gibson in 1996 while i was in the states,, serial number 94048519,, cherry red with white edging and gold fittings,, great guitar… I can’t find out too much about this guitar… model.,, where and when built and value for insurance… I think it is a 94 Centennial model possibly a nighthawk but not sure. Can anyone help me with this?? hi Steve, I bought a similiar guitar in dublin (2003). It,s a Gibson Nighthawk Special. Heritage cherry colour. mini humbucker neck and slanted humbucker bridge pickups. because it,s a discontinued model it will be worth a small fortune in the not too distant future. contact me if you have any questions re. this guitar. Rock On !! As of 2011 they have re-issued them here in the States. Valuable info. Lucky me I found your web site by chance, and I’m stunned why this accident did not happened earlier! I bookmarked it.